GEOSMART™ is the future of geomagnetic play. 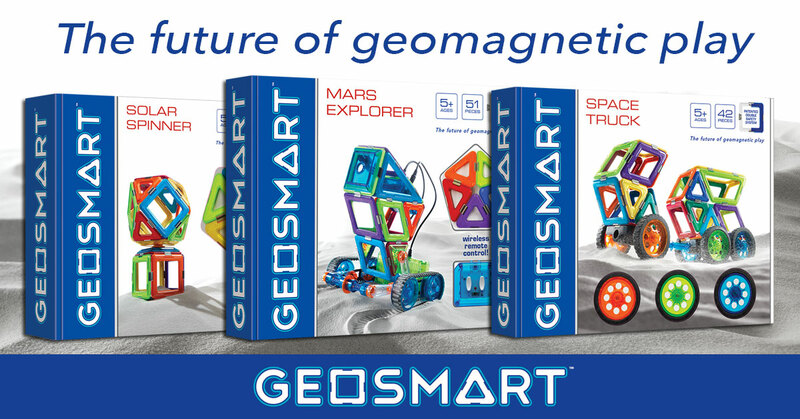 An ideal STEM magnetic construction set, GEOSMART™ enables fun learning at home and in the classroom. Featuring bright colors, strong magnetic pieces and a patented double-safety system, GEOSMART™ offers unsurpassed safety and durability for endless creative play! GEOSMART™ kits range from basic starter sets to battery powered remote controlled vehicles! Many sets includes LEDs lights and/or Spinners to bring your creations to life.